R-Urban Wick Zine, issue 1, December 2012, courtesy R-Urban, Public Works. The second meeting in the Close Up series will be devoted to presenting and discussing practices which have emerged at the intersection of temporary, interventionist architecture, urban experiment, and public art. Artists, activists, and architects who hybridize these practices turn cities into laboratories, where disciplinary barriers are nullified by way of the fusion of architectural methods, of artistic competence, construction skills, and a do-it-yourself ethos. Frequently, such a crossover between contemporary art and architecture has a significant political impact on how cities are developed and managed. On the one hand, they contain a promise of a citizen’s empowerment by encouraging their hands-on participation in the processes of urban development. On the other, they may be instrumentalized by city managers and private developers as an ersatz of democratic processes, or as a beautification of harsh genetrification. These contradictions and paradoxes will be discussed in reference to the case of Public Works, an example presented at the exhibition Making Use. 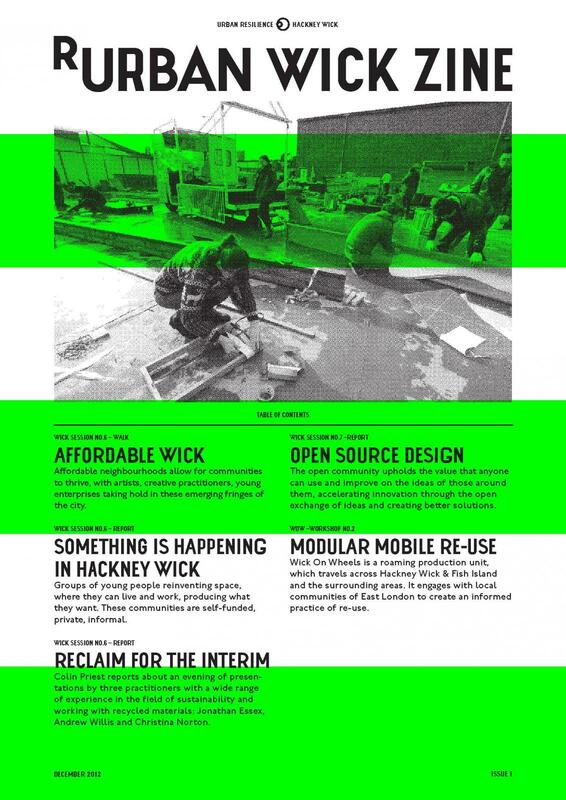 The meeting will refer to their most recent project “R-urban Wick,” realized in Hackney Wick, a district of East London undergoing rapid development and gentrification. This pilot project challenges top-down, profit-oriented city management by initiating local ecological cycles and alternative models of urban living. The case study “R-urban Wick,” will be contextualized by Signe Pedersen, who will discuss in a more general sense the role of temporary art and architecture in the context of urban regeneration. Andreas Lang is an architect and an educator and a founding member and a managing director of the Public Works collective, based in London. Andreas is the author of numerous texts on the subject of art and architecture; has lectured, among many others, at the Royal College of Art and Central Saint Martins in London; and has organized workshops across Europe and beyond. Signe Brink Pedersen is a Danish curator and researcher. Signe has curated a number of exhibitions and projects in public space. For the last six years she has been the chief curator of the arts program at the Roskilde Festival. Currently, she is completing her PhD on the role of art in urban regeneration at Aalborg University in Denmark.